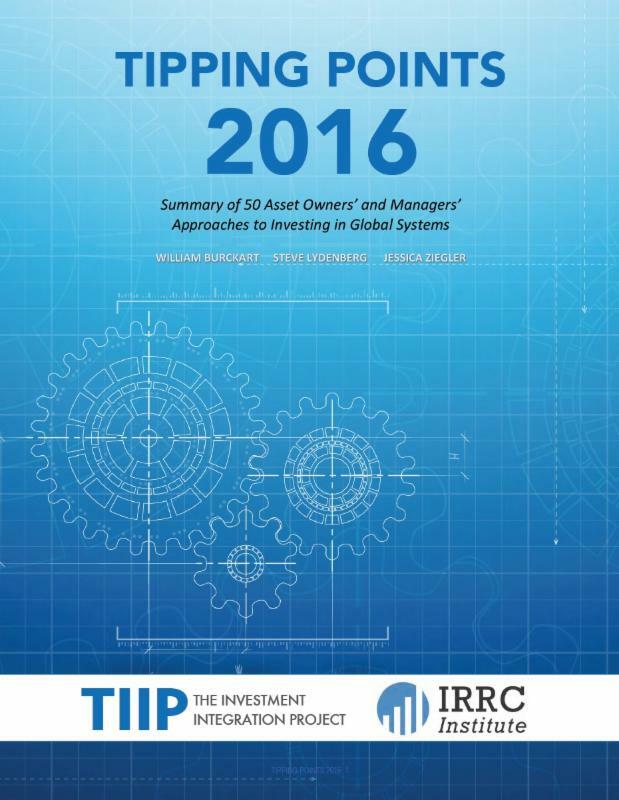 The new study, Tipping Points 2016: Summary of 50 Asset Owners’ and Managers’ Approaches to Investing in Global Systems, examines how 28 asset owners and 22 asset managers are beginning to think about the impact of their investments and, in turn, how those investments are affected by global environmental, social and financial systems. This new systems-level thinking is additive to traditional investment scrutiny at the security and portfolio levels. Supported by the Investor Responsibility Research Center Institute (IRRCi), the report is authored by William Burckart, Steve Lydenberg and Jessica Ziegler with The Investment Integration Project (TIPP). It has been more than a half century since Harry Markowitz popularized diversification and portfolio level investing, for which he later won a Nobel Prize. Since then, capital markets around the world have changed dramatically, and the global financial crisis was a game changing wake-up call. Against this dynamic backdrop, investors are evolving and realizing that global financial, environmental and social systems have major ramifications on their investments and, simultaneously, their investments have deep impacts on those systems. The report illustrates the new policies and practices that investors are embedding into their business culture and investment strategies. We now have concrete evidence that investors are intentionally confronting global environmental, social and financial systems challenges in a way that makes financial sense. A lot of work is left to be done to better understand the complex relationship between systems and portfolios. But, this study demonstrates that institutional investors, whether implicitly or explicitly, understand that the world is becoming increasingly interconnected. Previously, investors could find ways to insulate their portfolios from certain global events. Today, even seemingly ‘local’ events can immediately and adversely affect all portfolios. Because the largest and most influential investors are recognizing this trend and beginning to consider the connection between planetary systems under stress and adversely effected portfolio performance, we are looking at a potentially critical shift in the evolution of investment. To contribute to the vitality of Montreal, the regionally focused Caisse de depot de Quebec has invested in a combination of public transportation and downtown office buildings and hotels. webinar, California State Teachers Retirement System has allocated $2.5 billion to an MSCI low-carbon index fund, and also has worked with the NGO Ceres to query 45 fossil fuel companies about their strategic plans under various energy/climate scenarios. 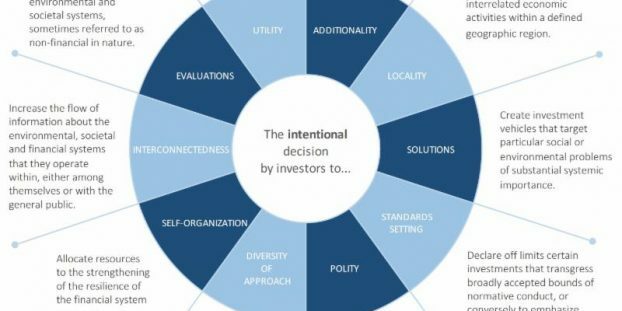 The Investment Integration Project helps institutional investors understand the feedback loops between their investments and the planet’s overarching systems – be they environmental, societal or financial – that make profitable investment opportunities possible. 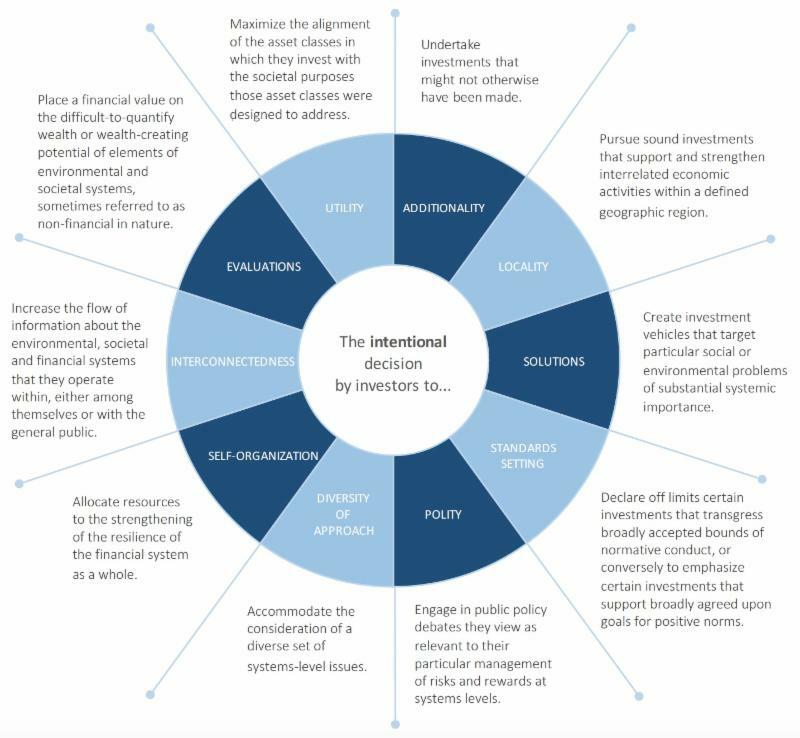 Once this relationship is understood, TIIP provides investors with the tools to help manage the impacts of their investment policies and practices on these systems.